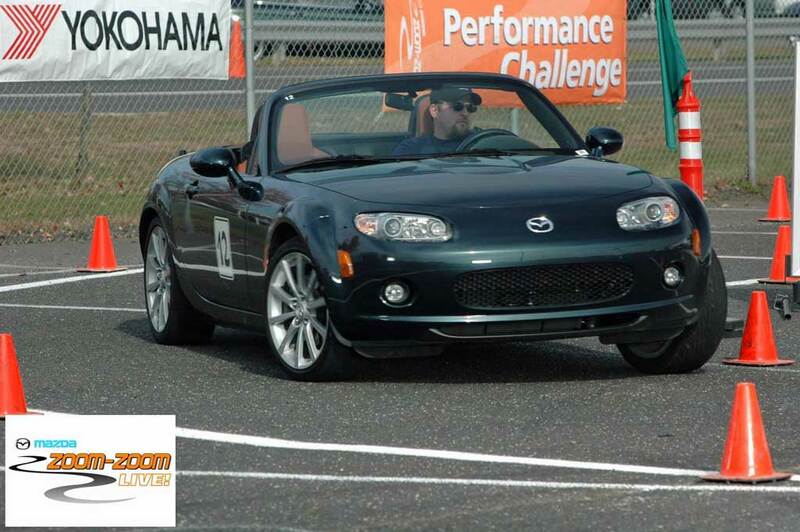 Congratulations to CJ on his selection as our Featured MX5 Miata! It all started for me the first time I saw a Mazda Miata. It was 1991 and our local mall had a 1991 BRG Limited Edition Miata inside on display. That classic British Racing Green color and tan leather interior had me mesmerized. What stuck out most to me was the tan tonneau that covered the whole interior allowing for just the driver seat to be unzipped and used. The whole car simply amazed me. But the fact that I was only 13 at the time meant I would be waiting till I would get to own one. Fast-forward to 1998 and a bad motorcycle accident made me start reconsidering “other” forms of weekend fun. That and the fact I had just met my future wife Jennifer. Knowing how easy it was for us both to be hurt on a bike I started looking for a second “fun” car. 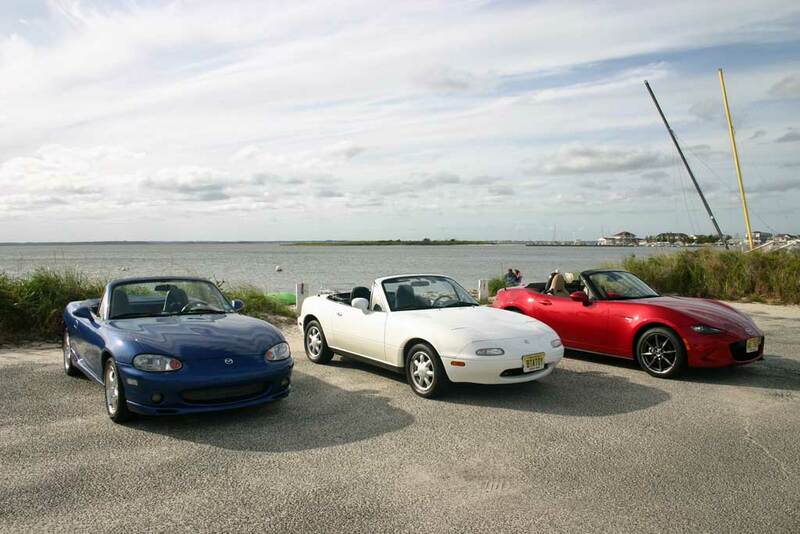 As luck would have it my local Mazda dealer, Weisleader Mazda in Point Pleasant NJ, just took in a 1995 Miata as trade from a gentleman to who just bought a then new 10th Anniversary Miata. The car was perfect, a 3 year old low mileage Montego Blue Mica with tan top and tan leather interior. We took the car everywhere. Road trips, vacations out of state, concerts, it was our go to vehicle. We even took it on our weekend getaway the weekend we got engaged. The car was great. And little did I know it at that point, but other members in my family were also noticing it. My family has always had a soft spot for convertibles and fun cars. My Father, Walter, aka Harry, at the time had a 1976 Alfa Spider and my Uncle Bob, aka UB, was driving a Fiat 124 Spider as his everyday vehicle. These two people were my biggest influences growing up learning how to enjoy and appreciate cars. Listening to the two of them talk about cars over family dinners started my passion for cars at an early age. My Miata was getting noticed for its looks, fun to drive and most importantly given their current vehicles, reliability. An upcoming job transfer to Florida had me realizing that we really didn’t have the space to take 3 cars with us. So when I decided to sell my Miata I only had to look as far as my Father. I knew that car would be in good hands. (He still owns it today.) But as soon as we arrived in Florida I knew I needed to get another Miata. 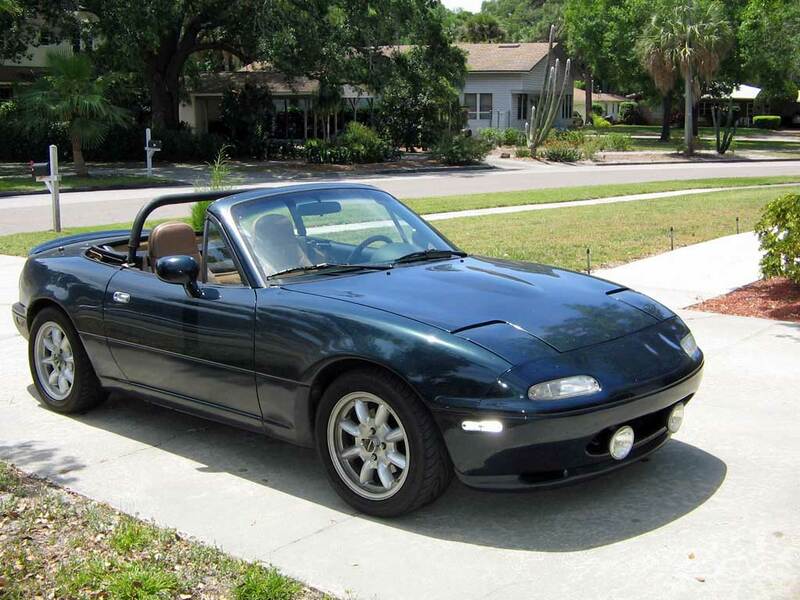 I started looking for Miatas for sale in the area and as luck would have it I found one. And in a little twist of fate it ended up being a 1-year-old 10th Anniversary Miata. I had to have it. That Sapphire Blue Mica paint had me instantaneously. 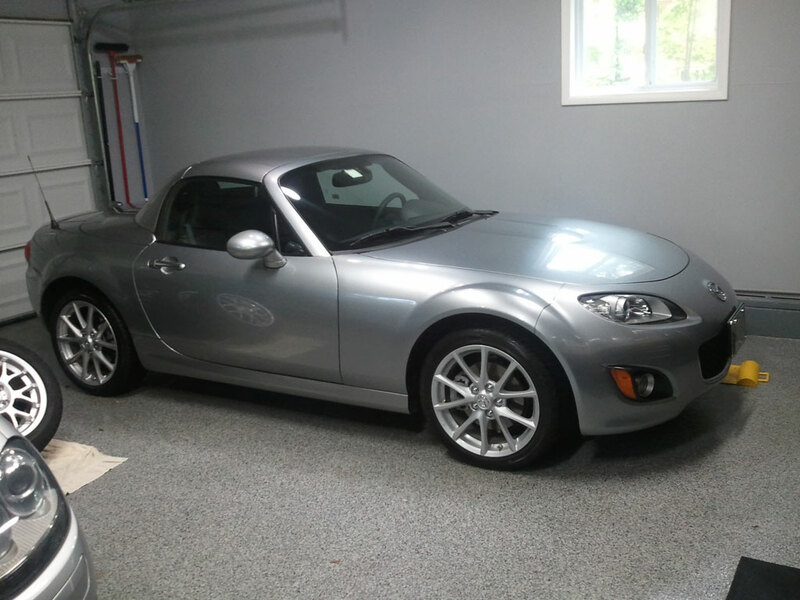 Meanwhile back home my Uncle would be buying his first Miata, a Highlight Silver Metallic with tan top and tan interior. We decided soon after moving there Florida wasn’t for us, so we decided to move back to NJ. As soon as I got back my Father, Uncle and I came up with the idea of getting the 3 of our Miatas together for some pictures. 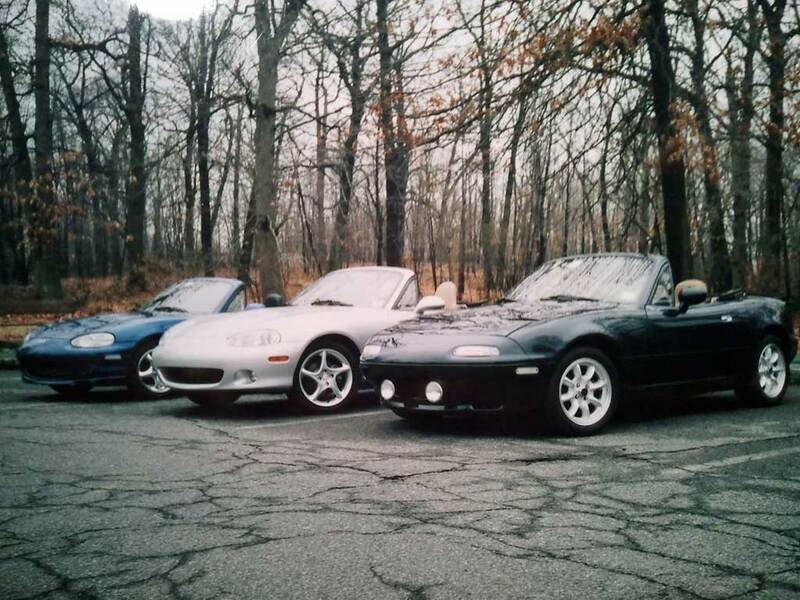 Through out the years my Father and I would keep our original Miatas while my Uncle would end upgrading his to a new Copper Red Mica NC Miata. Then one day, I got a surprise phone call from my Mother, Bernadette. She and my Step Father, Tom had recently bought a second home in Point Pleasant and while they were driving by the local dealer, Weisleader Mazda, they saw a 1993 NA Miata in White on the used car lot and asked me to come take look. Turns out it was a 1 owner car bought and maintained at Weisleader. The car was perfect! It looked like the previous owner had never even taken the hard top off so the convertible was in brand new condition. Here was an 18-year-old Miata, with only 90k miles in perfect condition, they bought it immediately. I really wasn’t sure how they would like it. They both drove big cars and I would have never thought they would enjoy the car so much. Tom loves the car so much he even washes it by hand, and I’ve never seem him wash any other car before this one. And then I was in for a bigger surprise. My Mother called me and said she enjoyed the Miata so much she wanted one as her everyday car. I guess all those years of driving MGs and Fiat while she was married to my Father had rubbed off on her. So we went and traded in her Dodge Intrepid, I told you they liked big cars, and bought a loaded Liquid Silver Metallic Miata with the then new power retractable hardtop. She loved it. But the need for a bigger car weighed on her and she traded her Miata in a Volvo C70 convertible. To say she didn’t like it would be an understatement. 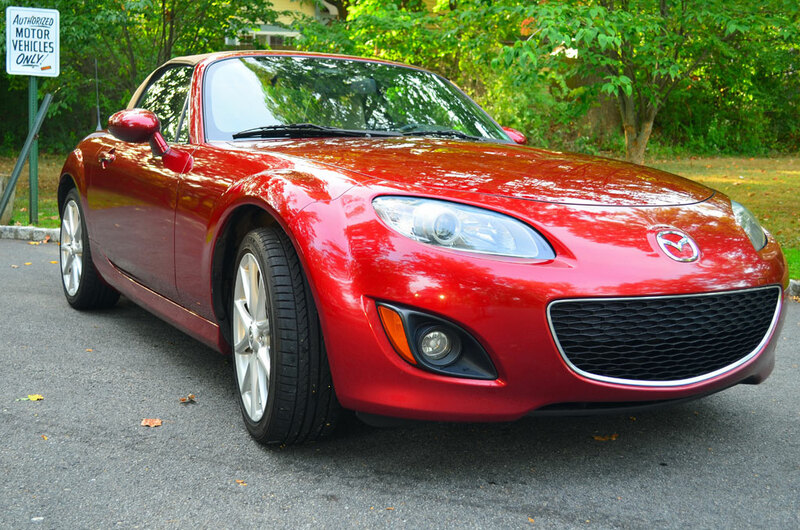 It lacked that fun sports car feeling that the Miata delivered. 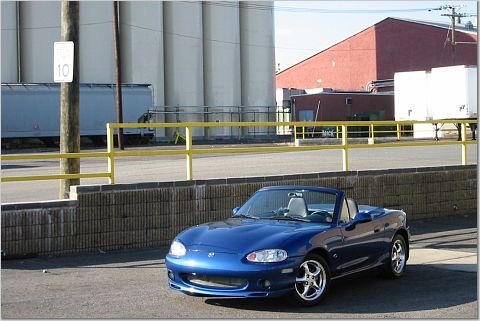 As luck would have it, Weisleader had just gotten in the new ND Launch Edition Miata. One drive and she knew she had to have it. So the Volvo with all of 3400 miles was traded in a on a Launch Edition ND Miata in Soul Red Metallic tan leather. Which works out well now because her and my Step Father each have their own Miata’s to drive around. Her recent purchase also prompted our latest photo shoot. Sorry for running a little long with my story, but there is a lot to tell. And I’m sure with the love that my family has for Miatas, it’s only going to get longer in the future.